* 3CDs feature Steven Wilson and Robert Fripp stereo mixes of In The Wake Of Poseidon, Lizard and Islands plus additional tracks. * 6CDs feature the Islands line-ups early concerts from Germany (new to CD) and the UK (1971). * 9CDs feature live recordings (several new to CD and/or previously unreleased in any format) from the 1972 US tour, including a new stereo mix of Summit Studios and an expanded Earthbound. * 3CDs feature auditions for the Islands band and two further, as yet, unidentified concerts from 1972 (all previously unreleased). * 3 blu-ray discs contain the main studio albums in 5.1 Surround Sound, recent stereo editions mixed by Steven Wilson and Robert Fripp, 30th anniversary masters of the original stereo albums mixes (all in 24/96 hi-res), plus extensive additional material with each disc also featuring a complete alternate album and a further selection of additional, related studio/live material in hi-res. * The Lizard blu-ray also contains the audition material from CDs19/20. * The Islands blu-ray also contains the following concerts in stereo Zoom Club (4 shows), Marquee Club, Plymouth, Glasgow, Detroit all from 1971. * 2 DVDs feature the expanded Earthbound, Summit Studios, Schizoid Men, New York 1972 and the recently discovered live concerts. 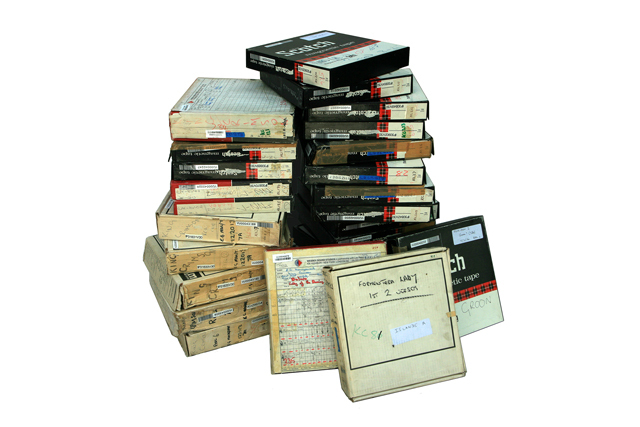 • DVD also features the Summit Studios performance in a new stereo mix and in quadraphonic. This is the only surviving multi-track performance from the 1972 tour. 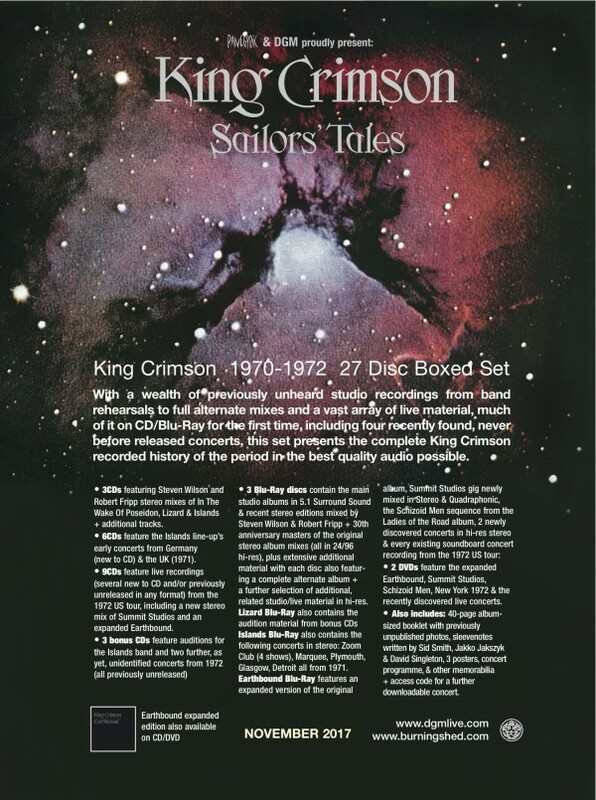 • DVD features the album length “Schizoid Men” sequence of edits of 21st Century Schizoid Men taken from the Ladies of The Road live album and a transfer of the original vinyl album.